By the same author as old time religion, The Painted Backdrop: Behind the Sitter in American Tintype Photography is now available. The previously untold story of 19th century painters and their influence on American photography during the tintype era. Never before examined in detail, the book contains over 75 rare, unpublished original tintype photographs from the Jim Linderman collection. A Grammy nominated writer and collector who has been called "the perfect subject for a Harvey Pekar comic" this book is informed with Linderman's wit and continues his examination of previously overlooked art and photography subjects. 80 Pages, 8' x 10" with essays by Jim Linderman and Kate Bloomquist. 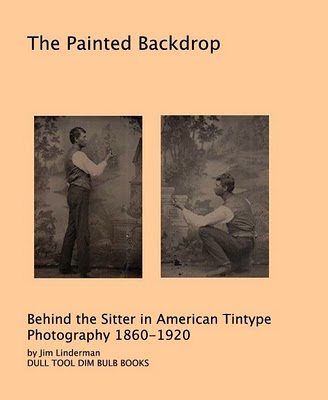 Available from Blurb.com, as are all Jim Linderman's books on unusual and forgotten art and photography.